Novotel Darwin CBD would like to invite you to join us for our annual Christmas Day Luncheon! Tickets include a fabulous Christmas themed buffet including a variety of seafood, traditional carvery and a 2.5 hour beverage package including wines, beers, soft drinks & juices. Santa will also be paying us a visit! 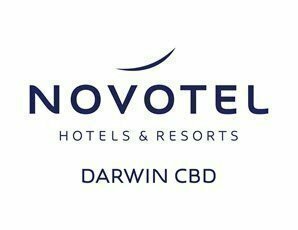 *Tickets purchased through this site will incur an online booking fee, tickets can also be purchased directly from the hotel to avoid the online booking fee, please email sales@novoteldarwinatrium.com.au for more information.